It may be tempting to check your text messages while waiting at a red traffic light, but if you do — and you're caught — you'll probably regret it. Texting while driving can cost a driver up to four demerit points in Quebec as of today. As of April 23, drivers in Quebec can be given four demerit points if police catch them with their phones in their hands while behind the wheel of a vehicle. 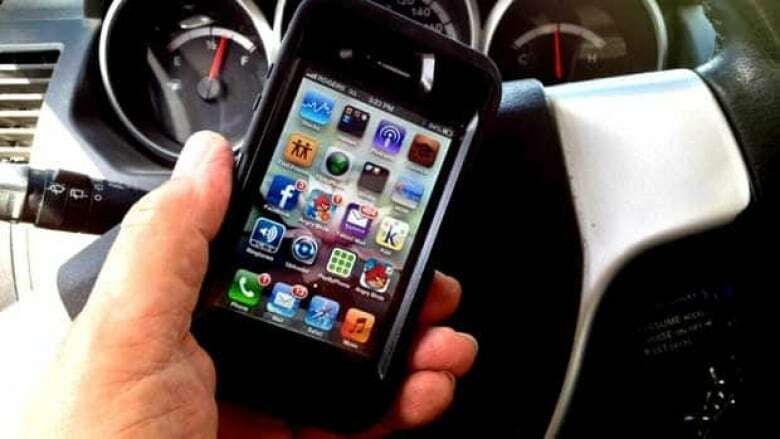 The province first introduced fines for using a cellphone while driving in 2008. Texting while driving has only become more popular since then, said Transport Minister Robert Poëti. He said the number of tickets handed out under the law continues to rise each year. Last year, police reported 66,000 infractions compared to about 11,000 when the law came into effect. Poëti, who used to be a provincial police officer, says ad campaigns warning about the dangers of texting and talking while driving have not worked. "The reality is that we didn't reach our objective," he said in October, when the impending changes were announced​. "It's a growing problem. We have a survey that says people realize this themselves, yet they continue to text." The new rules would have the biggest impact on new drivers, who only have four demerit points to begin with. That means people with probationary licences could lose their legal ability to drive after a single infraction. In terms of financial penalties, currently fines for using a cellphone while driving amount to $115 for a first infraction.